Home » Blog » Holiday Light Attractions » Best Holiday Lights Displays in California, Hawaii and the Northwest U.S.
It’s that time of year when Christmas tree lighting ceremonies launch the official start of the holiday season. For many families, it’s a tradition to visit places decked out with holiday lights. All around the country you’ll find neighborhoods, malls and other venues shining brightly for the holidays. Some places go all out with elaborate twinkling lights, figures and festivities. 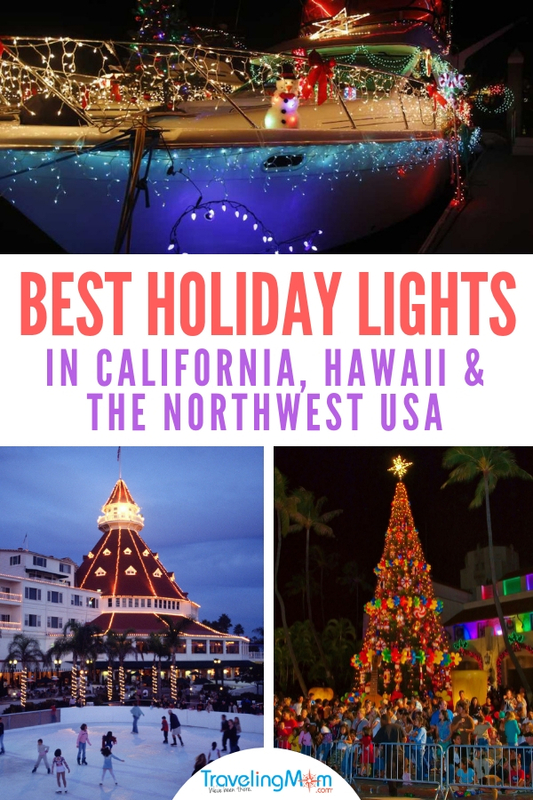 Los Angeles TravelingMom recommends these top places to enjoy holiday lights displays in California, Hawaii, and the Northwest. Holidays lights displays reflect a region’s culture in California, Hawaii and the Northwest U.S.
Admiring holiday lights displays is among the fun things to do during the holidays with kids. In California, themed boat parades and sparkling attractions brighten up harbors and cities. The state of Washington has the largest drive-through holiday lights display in the Northwest. And in Hawaii, you’ll feel the aloha spirit with unique island festivities. No matter where you go, you’ll find an abundance of holiday celebrations in the West, Northwest, and Pacific. 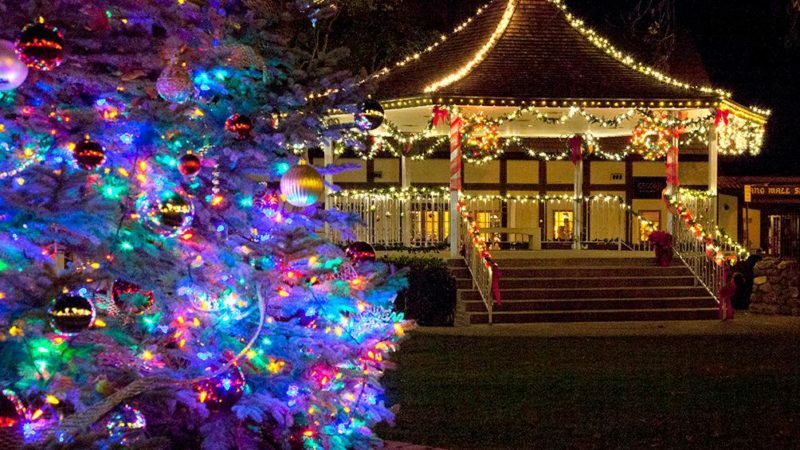 Feel the aloha spirit at the 22nd Annual Festival of Lights, Kauai’s largest holiday celebration. Themed “Santa’s Gone Kauaiian,” the event begins with a lighting ceremony and Santa’s arrival. Festivities begin at 6 p.m. Dec. 1. and continue weekends through Dec. 29. 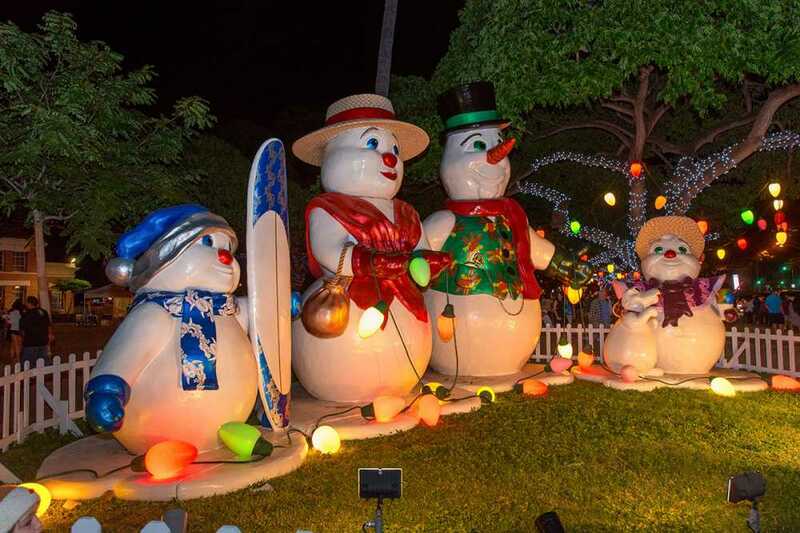 Located in Lihue’s Historic Park, the festival spotlights illuminated Christmas folk art. The unique creations are made from recycled materials and displayed inside the Historic County Building. Twenty years ago, artist Elizabeth Freeman purchased a large collection of eco-crafts from Auntie Josie Chansky. She then created Festival of Lights. Today, more than 65 percent of the festival displays represent Elizabeth’s own designs. Free admission. See spectacular lights and displays at the 34th Honolulu City Lights Dec. 1, 2018 – Jan. 1, 2019. Opening night festivities kick off with a free holiday concert near the Sky Gate. Highlights include the Public Workers’ Electric Light Parade that travels from Chinatown through King Street. Month-long family activities take place at the Frank F. Fasi Civic Center Grounds. 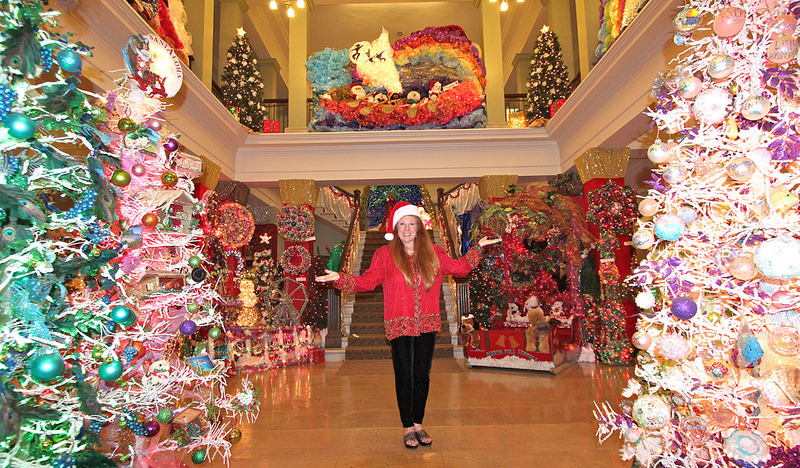 An Oahu Christmas tradition, the festival features Christmas trees and Hawaiian-style Santa displays. Plus, experience the ultimate holiday outing on a tour with Ward Village’s Honolulu City Lights Trolley Tour. The Oregon Zoo’s annual ZooLights features illuminated animal displays Nov. 21, 2018 – Jan. 5, 2019. See more than a million and a half lights, and ride the popular lighted train. Enjoy specialty drinks and dinner from a variety of food carts. Santa will be available for photos through December 23. The event will be closed Nov. 22 and Dec. 24 and 25. 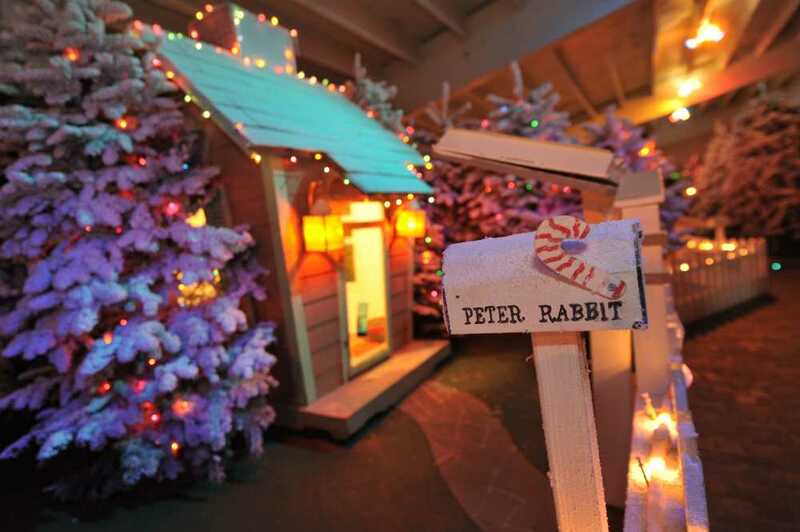 A Portland holiday tradition since 1961, Christmas in Dairyville, Storybook Lane is open weekends beginning Nov. 30. During the festive event, the farm sparkles with over 300 trees and decorated vintage storefronts. Things to do with kids include visiting live animals and Santa. Also, see modular train displays and dance performances. Free admission. The City of Dana Point kicks off the holiday season with a Winter Festival & Tree Lighting Dec. 1. The family event takes place from noon – 7:30 p.m. at La Plaza Park. Activities include a visit from Santa, reindeer, and snow. In addition, crafts for kids, cookie decorating, tree lighting, and a holiday movie. Themed Western Wonderland, the city’s 44th Annual Holiday Boat Parade of Lights is a sight to behold. 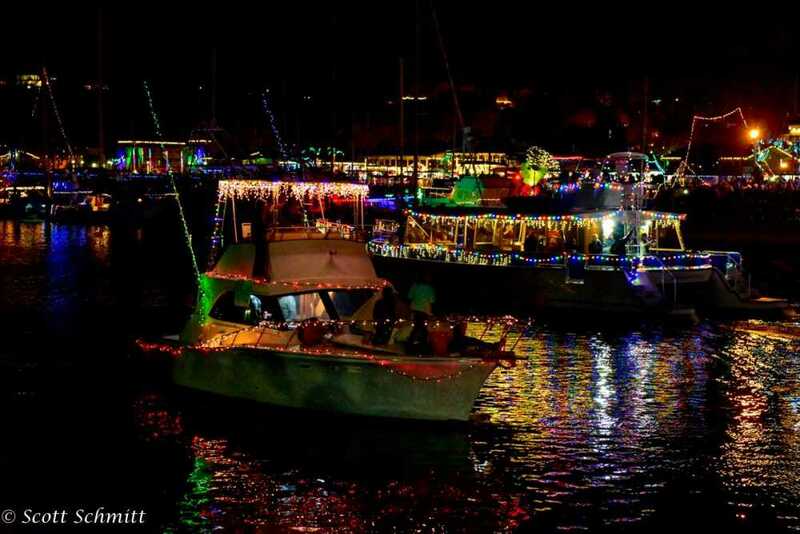 See about 90 decorated boats cruise around the Dana Point Harbor from 7 – 9 p.m. Dec. 8. Decked out with festive holiday lights displays, boats compete for awards in various categories. These include Best Theme, Best Use of Lights, Best Animation, and Most Colorful. Find a good spot to watch or join the parade aboard the Dana Wharf Whale Watching cruise boats. The boat parade takes place Dec. 7, 8, 14 and 15 at the Dana Point Harbor. You can watch from shore or book a cruise with Santa onboard and be part of the parade! Hotel del Coronado put San Diego on the map in 1904 with the first electronically lit, outdoor Christmas tree. This year’s Holiday Festival features afternoon activities from 4 – 7 p.m. Nov. 28. Drop by Santa’s Village and stay for fireworks. 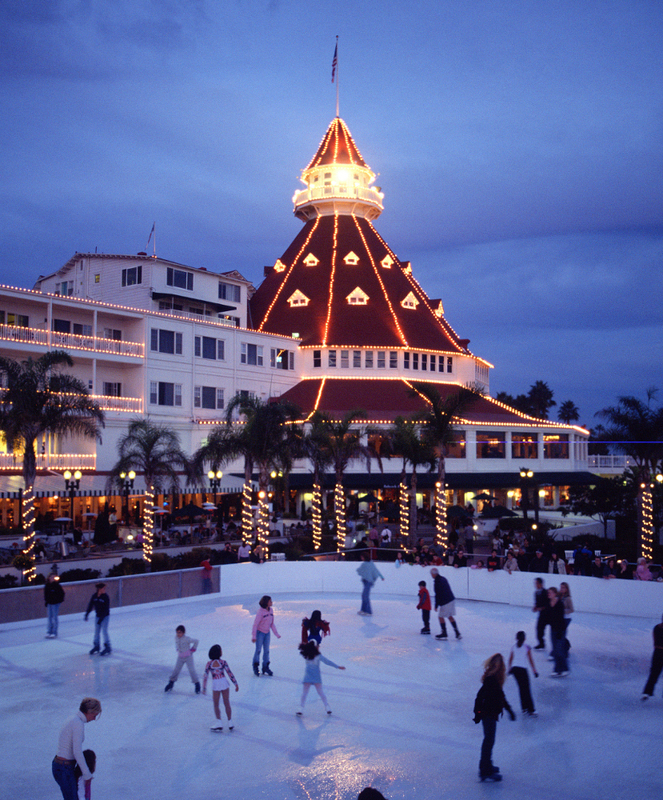 Holiday festivities include the seasonal Skate by the Sea, an outdoor rink on the beach. Take a spin from Nov. 22, 2018 – Jan. 1, 2019. See L.A. sparkle for the holidays, beginning with a tree lighting ceremony at 5 p.m. Nov. 26 at Grand Park, L.A. The 45-foot tree is the focal point of beautiful holiday lights in downtown L.A. Afterwards, take a stroll to enjoy the city’s twinkling lights. Count on posh Beverly Hills to ring in the holidays in style. As usual, festivities begin on Rodeo Drive with the annual Holiday Lighting Celebration Nov. 15. 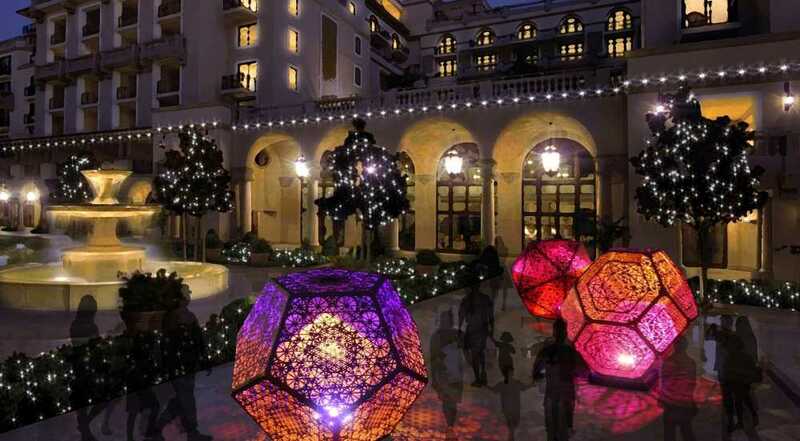 BOLD Holidays features the unveiling of Rodeo Drive holiday decor and live performances. The fun continues with art installations, performances and food trucks 5 – 8 p.m. weekends through Dec. 22. Stroll along twinkling pathways lined with displays at the 9th Annual Festival of Lights at Mendocino Coast Botanical Gardens. Thousands of lights create a brilliant coastal garden from 5 – 7:30 p.m. Friday, Saturday and Sunday, Nov. 23 – Dec. 16. Afterward, relax in a decorated tent for live music and local brews and wine. The Holiday Sweets Café offers hot cocoa, cider, and homemade goodies. $10 adults, free for ages 16 and younger. Free parking. A shuttle is available each night of the Festival of Lights. Shuttle pick up is at the Mendocino Community College. Mrs. Claus comes to town to ring in the 32nd Annual Downtown Holiday Lighting Ceremony. Gather at 5:30 p.m. to wait for Mrs. Claus to light up the town at 6 p.m. Nov. 23. Festivities take place at the Paso Robles Downtown City Park. Enjoy holiday lights, live music, and caroling. Free cookies, and hot chocolate round out family fun. Free admission. 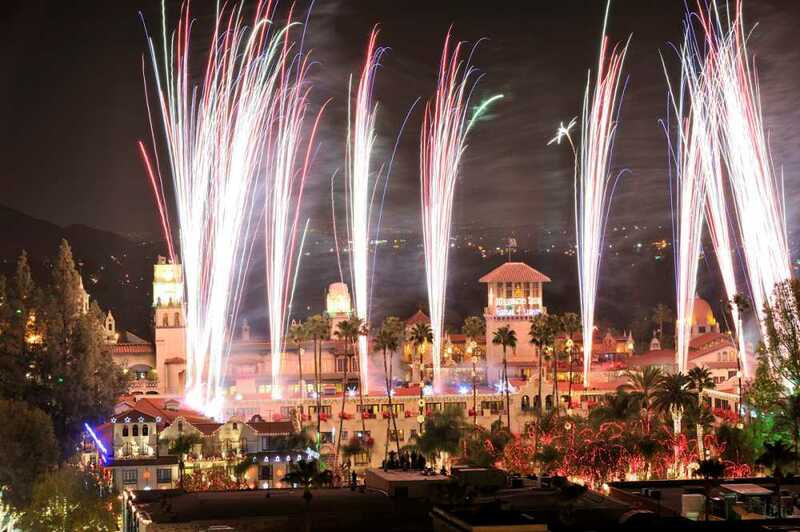 Historic Mission Inn Hotel & Spa glows with more than 5 million lights during the 26nd Annual Festival of Lights. Among the nation’s largest holiday lights displays, the six-week event kicks off at 4:40 p.m. Nov. 23, 2018. Festivities feature 200 animated figures including angels, and elves and Dickens carolers. Things to do with kids include Santa visits, horse-drawn carriage rides, and more. Plus, indulge in holiday confections. A Danish holiday, Julefest is celebrated in California’s Little Denmark, Solvang. Pronounced Yule-fest, the holiday is celebrated throughout December. A tree lighting ceremony gets the party started at 4-6 p.m. Dec. 7 in Solvang Park (Mission Drive & First Street). The next day, watch a holiday parade march along festively decorated streets. In addition, there’s a magical candle light parade with battery powered LED candles Dec. 1, 8, 15 and 22. 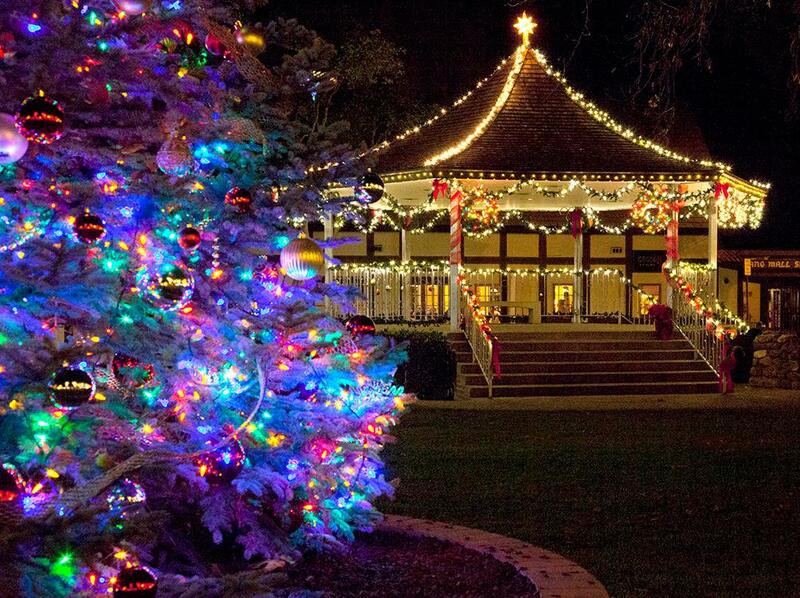 Learn about Solvang and hear traditional Christmas carols starting at 5:30 p.m. at Solvang Park. The annual tree lighting on Nov. 16 kicks off the Winter Wonderland Festival from 6-9 p.m. in Downtown Caldwell. The family event features Santa and a Kids’ Playland. Best of all, about 500,000 lights illuminate Indian Creek’s bridges, railings, lamp posts, trees, and character displays. Winter Wonderland continues daily through Jan. 15, 2019. Pick your spots for the annual holiday lights show that starts with a parade at 5 p.m. on Sherman Avenue in downtown. Enjoy marching bands, floats, and music. Also, pick up a candle at the Coeur d’Alene Resort and gather on the front lawn for carols. Join the countdown, and see the most spectacular fireworks display in the Northwest. After the show, over 1.5 million light up the resort and downtown area. The resort’s signature Journey to the North Pole Lake Cruise visits Santa’s North Pole Toy Workshop. There, see one of the world’s tallest Christmas trees. A fleet of cruise boats depart every evening through the holiday season to view the magic of the holiday lights across the lake. 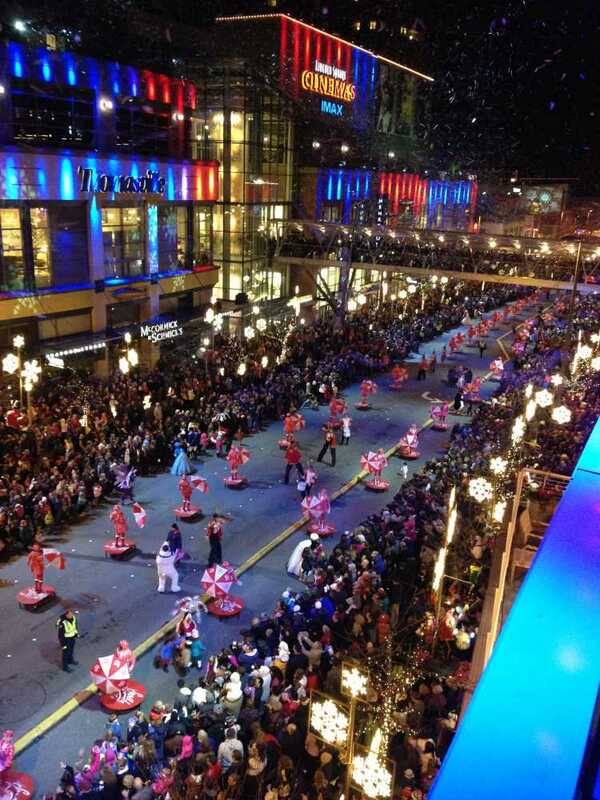 Holiday lights and a nightly snowfall and parade make Snowflake Lane a magical place for families. Catch the snowfall at 7 p.m. every night Nov. 24 – Dec. 24. Snowflake Lane takes place along Bellevue Way between NE 4th St. and NE 8th St. In addition, the Bellevue Collection features more than 200 live toy soldier drummers, costumed characters, lights, and music. Come back for the New Year’s Eve celebration featuring music, lights, confetti, and bubbles. 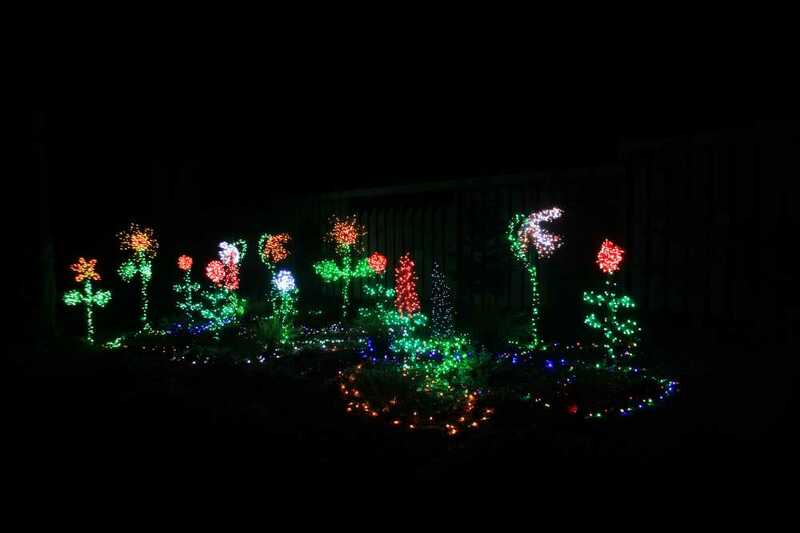 For more holiday lights displays, see Garden d’Lights Nov. 24 – Dec. 30 at Bellevue Botanical Garden. The holiday splendor features over half a million sparkling lights formed in whimsical shapes. These include plants, flowers, birds, animals, and cascading waterfalls. The holiday event takes place 4:30 – 9:30 p.m. in the gardens. Cost: $5 per person (11 and over). Children 10 and under admitted free. The 24nd annual Fantasy Lights at Spanaway Park is the Northwest’s largest drive-through display. Featuring a mystical LED light tunnel, the display includes thousands of lights and nearly 300 figures. Fantasy Lights is open from 5:30- 9 p.m. Nov. 22, 2018 – Jan. 1, 2019. While driving through, tune your car radio to FM 95.3 to hear a selection of special holiday music. For western-style fun, hop aboard the Holiday Lights Tour on the Cheyenne Street Railway Trolley from Dec. 12 – 24. Tours take place at 6 and 8 p.m. departing from Sears at Frontier Mall. Tickets go on sale Dec. 1 and must be purchased in advance. $12 adults, $6 children. 307-778-3133. Want more holiday lights displays?